In 2009, I turned fifty. My family and friends gave me several birthday parties. Lots of great wine was served and drunk and I had a ball. I think we all did. In 2010, Ridge Vineyards turned fifty and threw themselves a party. I am not entirely sure how I wound up on the guest list but somehow I was included as the token retailer at an event filled with some of the biggest names in wine and food journalism (Jancis Robinson, Dan Berger, Andrea Immer Robinson, Michel Bettane, Laurie Daniel, etc.). Let me go back a bit. Last November I received and email from Ridge CEO and head winemaker Paul Draper asking if I’d like to come to a 50th anniversary party for Ridge. Would I? You bet I would. In typical low key fashion, information trickled in and I made plans to spend a week in California on business culminating in the two day event at Ridge on March 2nd and 3rd. Thursday February 25th had me traveling and in Napa. I spent Friday, Saturday, and Sunday in Napa. Monday found me in Modesto. Monday evening I drove across Central California from Modesto to the Rosewood Hotel in Menlo Park (which is quite posh). It had rained a lot in California that winter and the days of my trip were no exception. I have never seen California so green. It looked like movies of Ireland. But I digress. All day Tuesday and all day Wednesday were devoted to Ridge. We left the hotel Tuesday morning in a heavy mist and went up to the Ridge winery on the famous Monte Bello Ridge. Tuesday’s tastings and dinner were devoted entirely to wines from the Monte Bello vineyards and the Santa Cruz AVA. 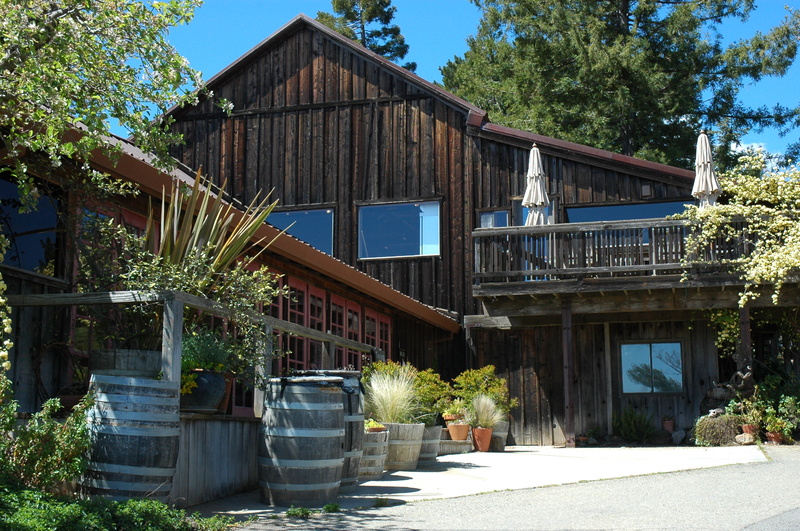 Wednesday in Healdsberg would focus on he Lytton Springs and Geyserville Zinfandels. At Monte Bello, our first tasting of two wines – two blend trials that differed from one another by the inclusion of .9% press wine in one sample – set the theme: minute attention to detail makes all the difference. By the way, the sample with the added press wine was thought to be better by both the Ridge staff and all but one member of the roughly twenty invited guests. After a tour through the old winery (originally finished in 1892 as the Monte Bello Winery), we went down to the tasting room for an exposition tasting showing how Paul Draper and his winemaking team combined the elements from the several different vineyard blocks to piece together the initial blend for the 2008 Ridge Monte Bello Cabernet Sauvignon. Paul Draper and his team started with a basic blend and with each addition added richness, complexity, or flavor, or all three. That tasting was followed by a fine lunch (crab cakes, rack of lamb) paired with the Santa Cruz and Montebello Chardonnays as well as the Santa Cruz Cabernet with the Montebello Cabernet. (Think of Ridge’s Santa Cruz appellated wines as “Les Forts de Latour” – the greatest second wine – to Monte Bello’s “Grand Vin de Ch. Latour” – the Bordeaux chateau to which Ridge is most often compared.) A video presentation on the vineyards (as it was raining too hard to get out into the vineyards) followed before we bused back to the hotel and got ready for dinner. Dinner turned out to be an excuse to taste twelve vintages of Ridge Monte Bello Cabernet going back to 1968. Oh, darn. Do I have to? Well, yes. The wines had never before left the winery and so were pristine. At least the bottles they served us were pristine. They did open a couple of old rarities that did not make the cut. My favorite wines of the tasting were the stunning 1988 and the still vibrant 1968 – but that is not the point. The point was and is the style and voice of this amazing vineyard. Paul Draper might say that these Monte Bello wines don’t have a “style”. Rather, he could say, they are the product of the place and he just stewards (husbands? guides?) them from the vine to the bottle. If he said all that, I’d get his point but … good wine doesn’t make itself and great wine doesn’t just happen. It is Paul and his team providing an attention-to-detail, balance-is-all, let-the-place-speak style that gives the vineyard and the grape varieties a voice to express in the bottle. 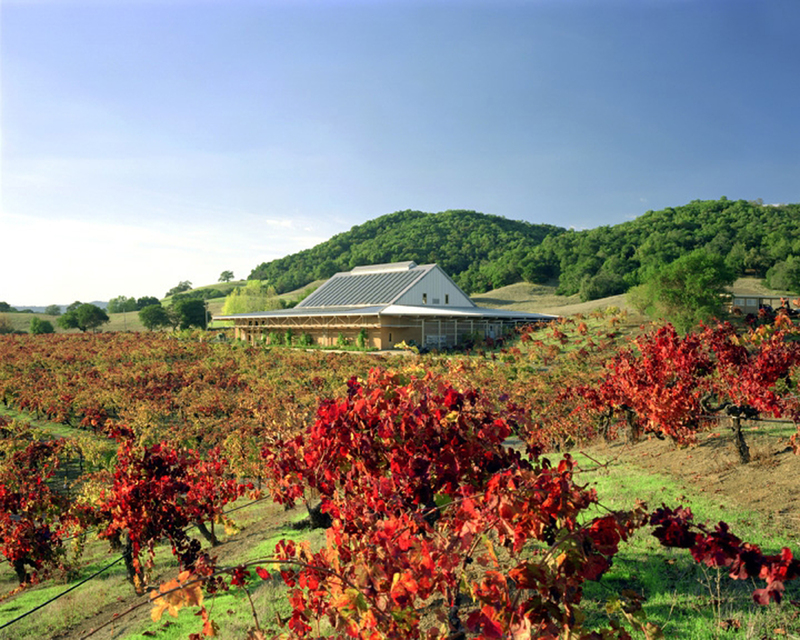 While Monte Bello Cabernets can be impressive and even delicious when young, these top Cabernet wines from Ridge only come into their own with aging (at proper cellar temperatures). In this regard, Ridge is more like a first growth or “super second” Bordeaux than it is like most California Cabernets, even those at the highest end. At the end of the dinner tasting, it was clear that Monte Bello Cabernet, even as the vintages passed, was getting subtly better-and-better without following Napa’s (and Australia’s) – trend (dictate?) toward bigger-is-better. Rather, these are wines of subtlety and complexity, elegance, balance and, ultimately, age-worthiness. They are the counterpoint (and maybe the counterpunch) to the “Checklist Cabernets” from Napa that are now in such high demand. You know what I mean by Checklist Cabernets. Buy expensive piece of land in Napa Valley. Check. Hire big name vineyard manager. Check. Plant cutting edge vineyard using the latest clones and techniques. Check. Build expensive show place winery. Check. Install “by appointment only” sign. Check. Hire big name consulting winemaker (maybe Helen, maybe Heidi, or maybe Mia or Sara) or maybe bring in a famous consultant (Can you say “Michel Roland” boys and girls? Sure you can.). Check. Introduce the first vintage (made from bought grapes because the three year old vines are too young) at a big wine party at the by-appointment-only showplace winery. Check. Attempt to sell the very limited (often as little as 300 bottles) first bottling at highly inflated prices usually driven more by scarcity than quality. Check. Fire vineyard manger and/or winemaker/consultant amid drama and press releases. Check. Rinse, repeat. Check. I suppose with Paul Draper’s attention to detail, we could come up with a Ridge checklist. Buy ancient (at least by new world standards) stone winery and old vineyards planted to non-clonal massal selections of Bordeaux varieties originally from the Margaux appellation and maybe from Ch. Margaux. Check. Restore winery. Check. Rehabilitate vineyard using old massal selection cuttings (no UC Davis sanitized clones need apply). Check. Make wine using artesinal equipment. Check. Hire a winemaker trained in philosophy rather than winemaking. Check. Leave him alone and let him figure out the process and hire good people to complement him. Check. Eschew trends and stick to the original vision. Check. Make great balanced, elegant, complex, compelling, complete, age-worthy, and (oh, yeah) delicious wines. Check. Keep the staff intact to keep making great wine with subtle improvements in the vineyard and in the process. Check. I am not going to give you any tasting notes on the Monte Bello and Santa Cruz wines we tasted at the Rige 50th anniversary event. They would only bore you. The blends are all in the same general parameters (this is a wine estate so they are using what they have planted). The alcohol does not exceed 14.1% on any of them. The style is subtle and elegant. The fruit is a mix of red and black. Balance is superb and the acidity is sufficient to allow age-worthiness. For technical details on most any Ridge wines including older vintages, go to http://www.ridgewine.com which gives copious detail to those willing to dig a bit. But that may be beside the point. These are wines that ask-command-require the attention of the thinking wine lover. These are commercially available (commerce is not always a bad word) wines of great quality and style. The are made by an identifiable person (a someone) and come from a defined place (a somewhere). They are imminently collectable and are one of the very few California Cabernets currently being produced that will reward aging for more than a couple of years. The Ridge wines from as far back as I have tasted are still alive and satisfying. This includes wines from the ‘80s, they ‘70s, and the ‘60s. By way of contrast, most Napa Cabernets from 1997 are now in decline. They were ripe and delicious (precocious?) when very young but did not/do not have the acidity to age. I don’t get why some of our most noted collectors are in hot pursuit of the Checklist Cabs (often with no track record and sometimes with revolving door personnel) and routinely ignore this long established jewel with a great track record and stable personnel. Is it because Ridge is not the next big new thing? I don’t know. Neither is Ch. Latour the next big thing but it stays more in the lime-light. Maybe part of the problem is that while we equate Ridge with a fine Bordeaux estate and while the flagship of Monte Bello is Cabernet Sauvignon, Paul Draper and by extension Ridge really operates more like a really fine if somewhat large Burgundy estate run by a died-in-the-wool terroirista. While Montebello is the focus, there are scads of other small lots, each with its own unique expression of vine and place. 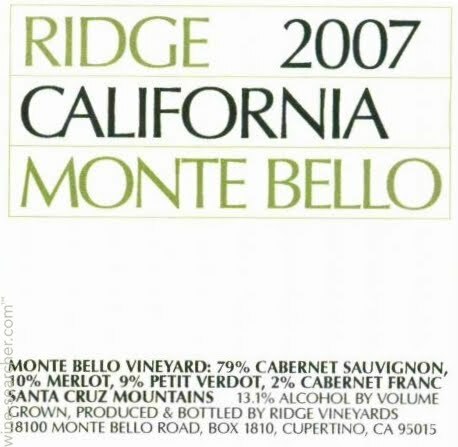 Whatever the case these Ridge Monte Bello Cabernets are serious wines suited for the serious collector. I suggest you get serious about them. They are worth it.